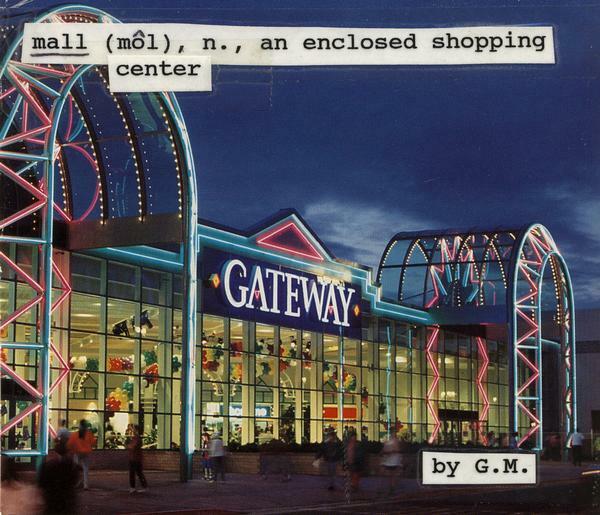 June 1998 – ACRONYM Inc.
For many years I worked in a Mall. (First, at Gateway in Springfield, OR, and then at the Lloyd Center here in Portland.) I wrote this ‘Zine one day, at the Mall, to help vent some frustrations, and looking at it now it’s held up pretty well. Now it can be yours, and electronic purchases are in COLOR for the first time ever! Be the first on your block to know all about the enclosed shopping center that is near and dear to us all.